Sensitive teeth causes are often related to the patient’s lifestyle and daily oral hygiene. Sensitive teeth causes include aggressive tooth brushing, using a hard toothbrush, dental caries, and over-consumption of acidic drinks. First, you must be familiar with tooth anatomy to understand sensitive teeth causes. The tooth consists of 3 layers: the enamel or cementum, dentin, and pulp. The enamel and cementum are the outer layers of the tooth. The enamel covers the tooth crown (above the gumline) and the cementum covers the tooth root (below the gumline). The dentin is the second layer of the tooth underneath both enamel and cementum. The dentin contains numerous microscopic tubules, known as dentinal tubules. These tubules lead directly to the pulp which contains nerves and blood vessels. 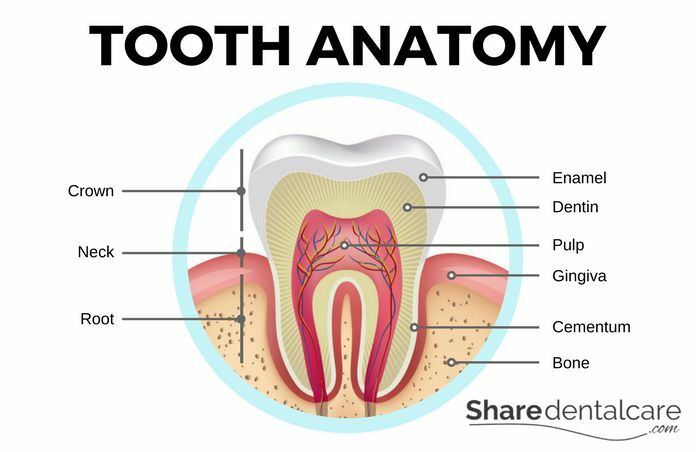 Tooth Anatomy: you must be familiar with tooth anatomy to understand sensitive teeth causes. Many people brush their teeth wrong for example, they use a hard toothbrush or exert too much force while brushing. Wrong tooth brushing can wear down the tooth enamel, cause gum recession, and expose dentinal tubules. As a result, the tooth becomes sensitive to cold, hot and other stimuli. To prevent tooth sensitivity, you should use a soft-bristled toothbrush and follow the right tooth brushing technique. To prevent gum recession, you should follow the right flossing and brushing technique. Also, visit your dentist to treat existing dental conditions such as gum recession. Over-consumption of acidic foods and drinks erodes the enamel and expose the dentinal tubules. Avoiding these foods and drinks can help you prevent tooth sensitivity. Many people suffer from involuntary teeth grinding, especially at night. Teeth grinding can wear down the tooth enamel and expose the dentin. Also, it can cause severe gum recession in the cervical area (neck of the tooth), resulting in tooth sensitivity. If you have teeth grinding, visit your dentist for a custom-made night guard and to prevent complications. Dental caries is one of the most common sensitive teeth causes. Bacteria decompose food debris and produce acids that attack the tooth enamel. As a result, the tooth enamel breaks down and tooth sensitivity occurs. Also, broken tooth fillings can be responsible for tooth sensitivity. You should maintain a good oral hygiene to prevent the formation of dental caries. Also, visit your dentist regularly for prophylactic examinations, to treat existing dental conditions or to replace broken fillings. Tooth whitening products can cause a temporary tooth sensitivity that will go away within a few days. The severity and frequency of tooth sensitivity depend on many factors such as the quality of tooth whitening products and the technique of application. So, consult your dentist before using these products. Some over-the-counter (OTC) mouthwashes contain acids and other chemicals that make your teeth sensitive or make existing tooth sensitivity worse. So, use neutral fluoride mouthwashes. Many patients experience a temporary tooth sensitivity after dental procedures such as tooth fillings or the placement of a dental crown. It is common and occurs due to the inflammation of the dental pulp (nerves). However, if the sensitivity doesn’t disappear within a few days or a swelling appears, this could be a sign of infection. So visit your dentist immediately to prevent complications. 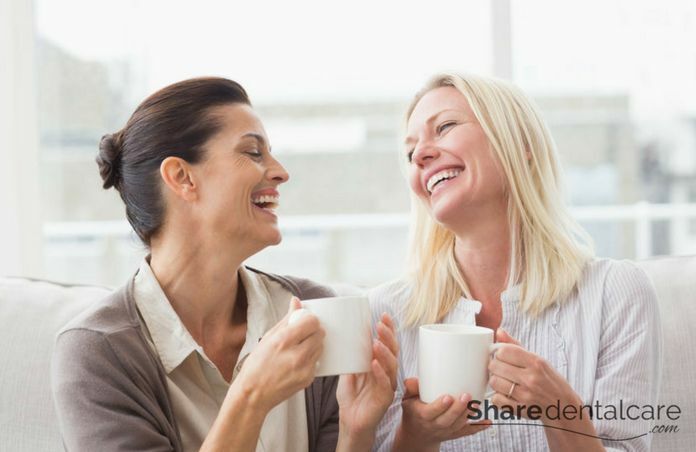 Next articleDental Bridge vs Implant: Which One Is Better?